A modern way to record your statistics. We believe using a pen and paper to record statistics is medieval. 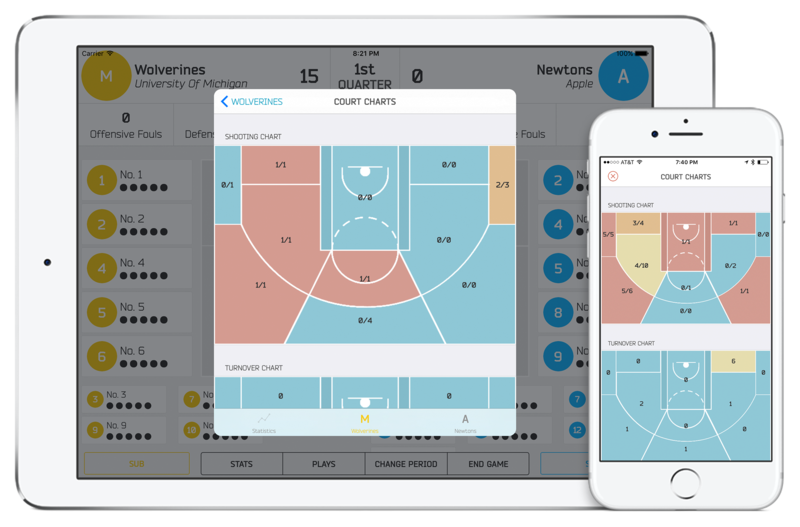 HoopMetrics allows you to record your statistics in a civilized way, while simultaneously calculating advanced analytics for you behind the scenes. Currently available on iPhone & iPad. Android & Web coming soon! You tap the floor where a stat happened, we do the rest. We keep track of everything from the action that was performed, to the players who were also on the floor when the stat happened. Access your team's analytical breakdown. We calculate a wide range of analytics for your team from your basic box score analytics, to pro level analytics such as TENDEX, Plus Minus, Offensive & Defensive efficiency, lineup suggestions, and many more. 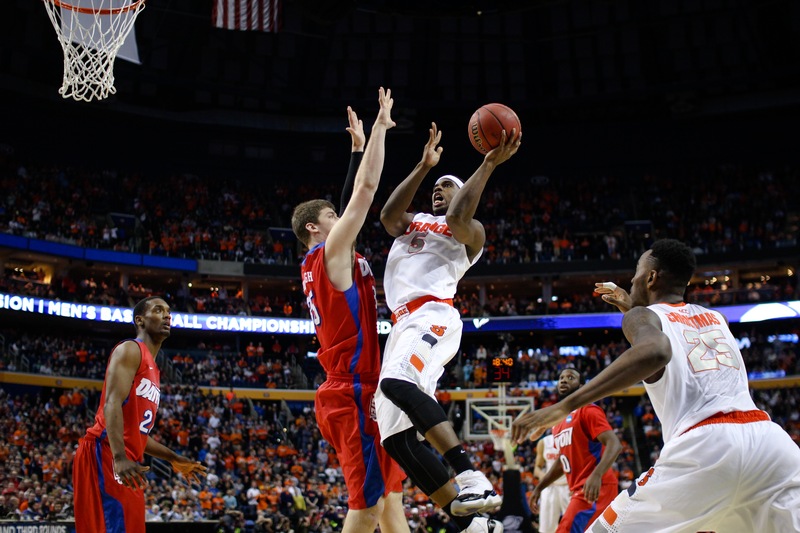 Which lineup on your team holds opponents to the lowest shooting percentage? Every time a stat is entered into our stat engine, we record all the players who were on the floor when that stat happened. 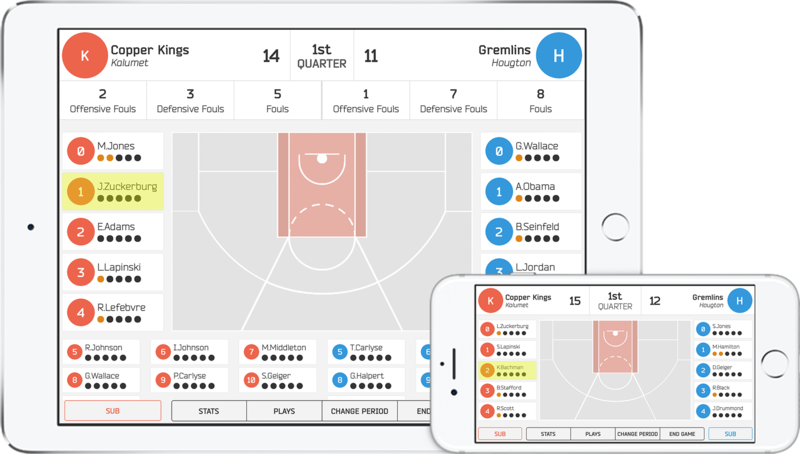 This allows us to offer lineup suggestions for your team such as the lineup who produces the most turnovers, or shoots the best free throw percentage, and many more! Currently offering 8 different lineup type suggestions. Generate High Resolution Court Charts during or after every game. HoopMetrics generates a heat map of the court for field goals, turnovers, fouls, and many more stats and turns them into. 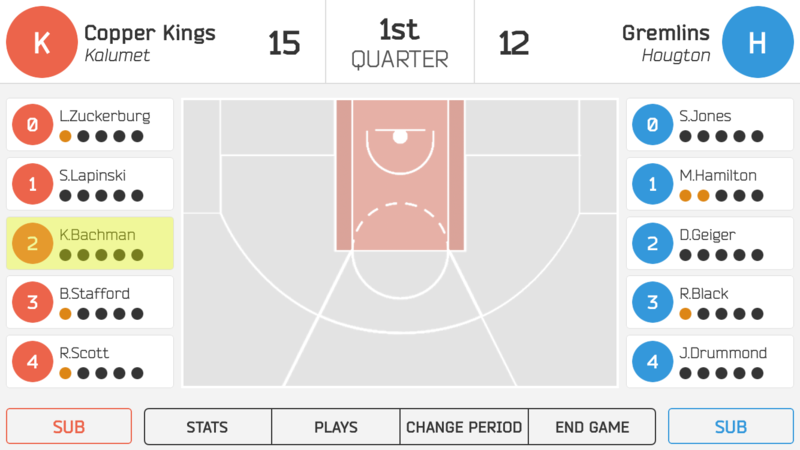 All Court Charts are exportable either by the raw stats, or as an image. See your stats in clearly organized stat tables. 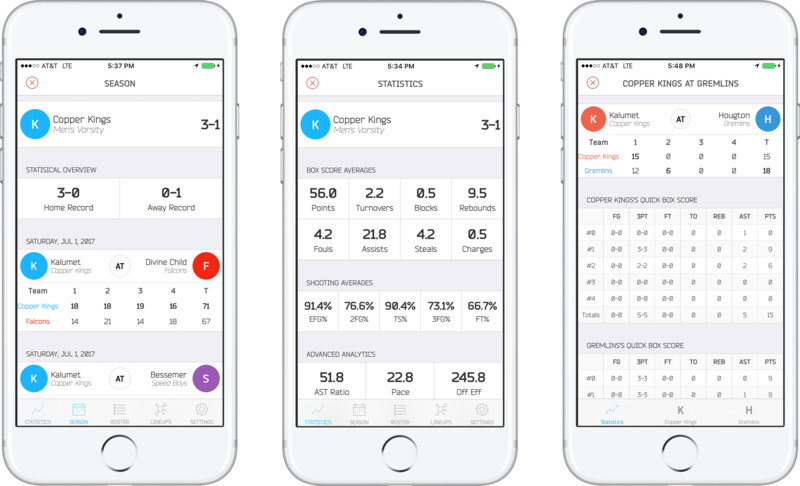 HoopMetrics produces stat tables for all of your statistics and are exportable via CSV files so you can access your raw data at all times. Play games in either halves or quarters. Come back and finish any time. 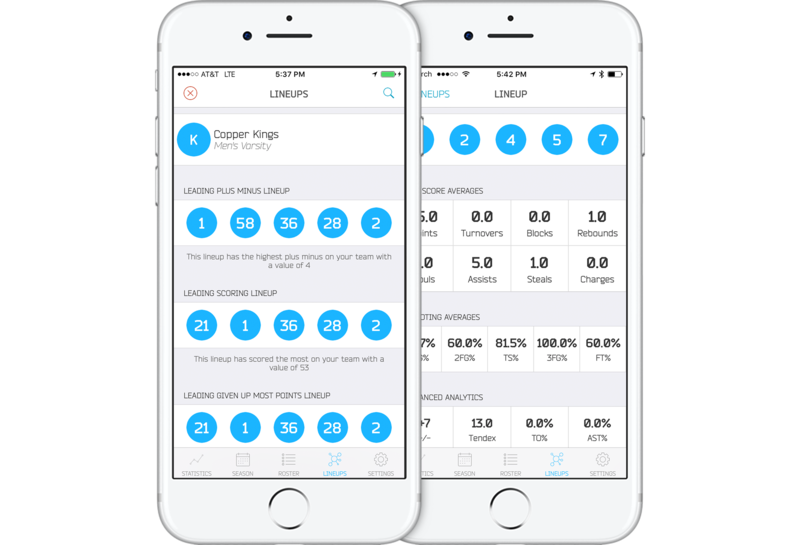 Easily stat your games by tapping on areas of the court. You can also choose to keep track of either one team or two teams depending on the level of analytics you wish to recieve. Screenshots are displaying a multi team stating game, but single team stating is also available. 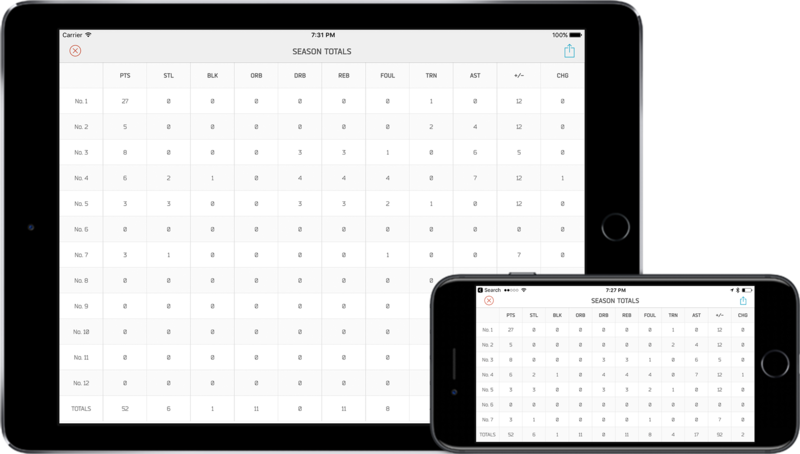 Keep track of your organization season over season. 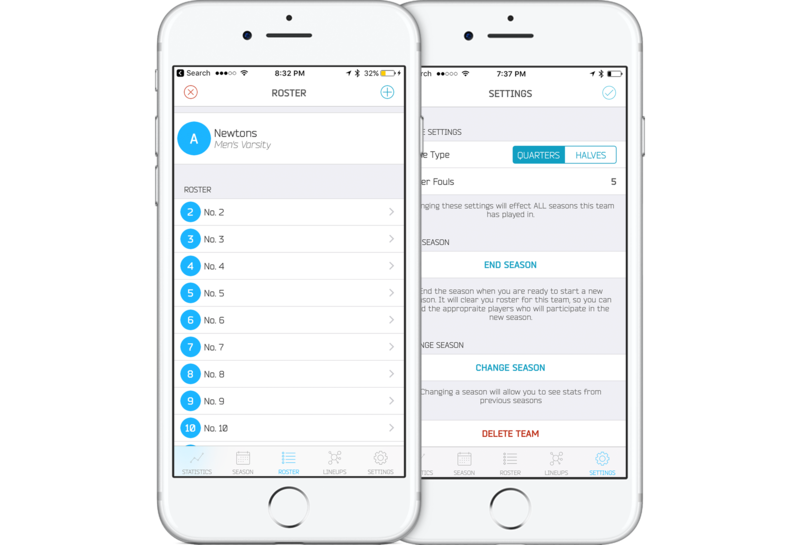 You have the ability to reset your roster season over season while not having to recreate a new team. You can always go back and see stats/re-stat older seasons at anytime. You are always able to go back and view previous seasons for your team. Signup for our Season Subscription Price. Signup now for $9.99 per month.